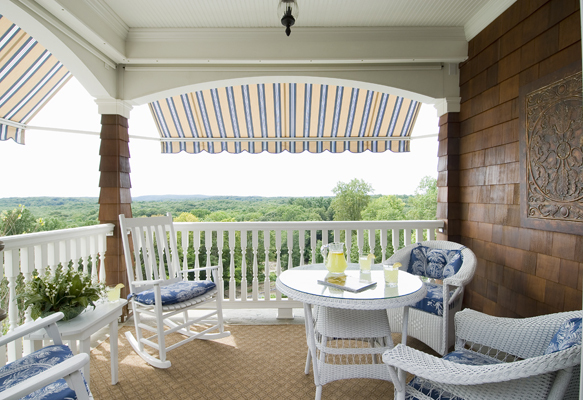 The striped awning offers protection from the afternoon sun while adding beauty to the exterior. 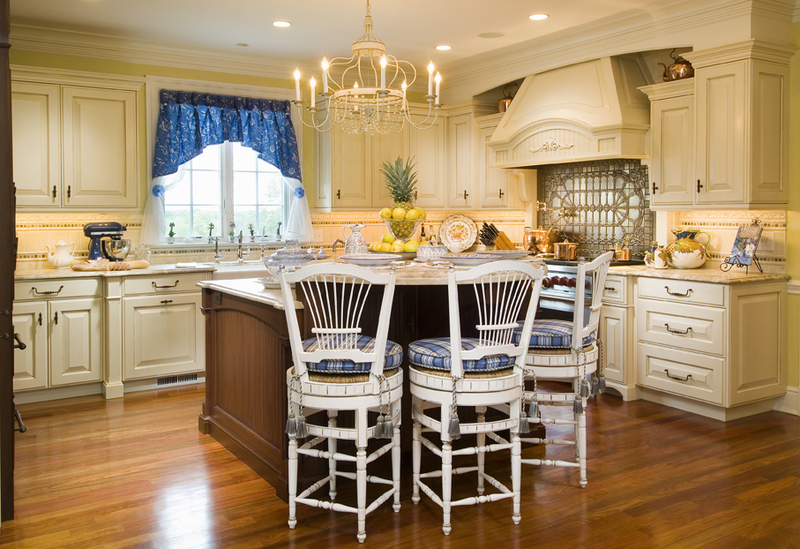 Additionally, a motorized, retractable and transparent screen installed behind a custom-fitted, removable apron protects against the harsher elements and insures privacy. The fabric for the custom made cushions is from Pindler & Pindler's outdoor collection.